Before you continue, you need to have Mocha installed either globally on your local machine or as a dependency for your project. Here is how it can be installed using the Node Package Manager(NPM). 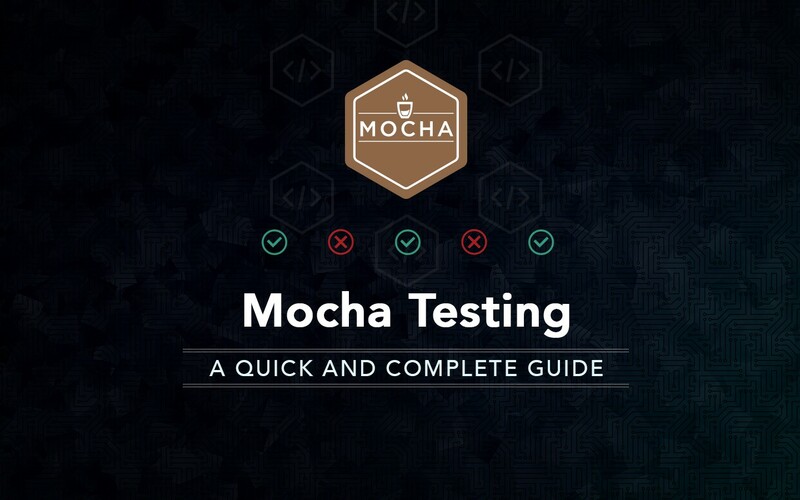 To complete your Mocha setup, you will have to write a unit test for a very simple functionality and configure a script to run the test using Mocha. Mocha automatically looks for tests inside the test directory of your project. Hence, you should go ahead and create this directory in your project root. At the moment, you have everything set up for running your tests with Mocha but you don’t have any tests to run yet. The next step will be to start writing tests for the desired functionalities of your software. Writing tests often requires using an assertion library. Mocha does not discriminate whatever assertion library you choose to use. If you are using Mocha in a Node.js environment, you can use the built-in assert module as your assertion library. However, there are more extensive assertion libraries you can make use of such as Chai, Expect.js, Should.js. You can learn more about the assertions and assertion styles Chai provides from this documentation. Mocha provides a variety of interfaces for defining test suites, hooks and individual tests, namely: BDD, TDD, Exports, QUnit and Require. For this guide, the BDD style-interface will be used for defining and writing the tests. However, you can check the comparison between the available Mocha style-interfaces in this documentation. It’s time for you to write your first test suite and run the tests with Mocha. Here is the software requirement to be implemented. Fitting with best practice, first define the test suite with tests for the required functionalities. Notice that the sum module was required in the test file though it has not been created yet. Also notice that the sum() call is wrapped in a function to test that an error is thrown when non-number arguments are passed. This is a requirement of the .throw() assertion as specified in the Chai assertions documentation. Next, go ahead and implement the functionality for the sum() function as a module export, run the tests and ensure that all the tests pass. The function passed as second argument to it() can be passed an optional callback function as its first argument. When this callback function is passed, Mocha knows that the test is for asynchronous functionality. Conventionally, the callback function is named done, but you are at liberty to use any identifier you choose. 1. The done() callback must be called for Mocha to terminate the test and proceed to the next test, otherwise the test keeps running until the timeout reaches. 2. The done() callback should not be called more than once within an it() function block. Calling it multiple times will throw an error. 3. The done() callback is a Node-style callback, hence it can take an Error instance (err) as its first argument. 4. Calling the done() callback with an Error instance causes the test to fail with the given error. Before you proceed, here is a simple module that exports an asynchronous md5() function for computing the MD5 hash of a string. The following code snippet contains a simple test for this asynchronous function using a callback function. If you are developing in an environment with support for promises, it’s likely that most of the asynchronous operations will be based on promises. Mocha also makes it possible for you to test asynchronous code that uses promises. Whenever you return a promise from the function passed to it(), Mocha knows that the functionality to be tested is asynchronous, and so it waits for the promise to be fulfilled before proceeding to the next test. From Mocha v3.0.0 and newer, calling the done() callback when a promise is returned will result in an exception, since this is not allowed. However, in older versions of Mocha, the call is ignored. In order to test asynchronous code that uses promises, you will create another version of the md5 module that is based on promises. This command uses -— to pipe the command options and arguments to the underlying mocha CLI binary. The -f flag instructs Mocha to run only tests that contain the given string, which in this case is promiseMd5. Each hook basically takes a callback function as argument. The callback function contains logic to be executed when the hook is triggered. The logic can be either synchronous or asynchronous just as it is with regular test cases. Hooks can also take an optional description as first argument which makes it easier to track errors. However, if a named function is passed as argument to a hook, the name of the function is used as description if no explicit description was passed. Whenever a hook is defined outside a definite describe() block, the hook becomes a root-level hook. Root-level hooks apply to all test files regardless of where they are defined. This is because Mocha implicitly creates a describe() block, called the root suite. Hence in the following code snippet, the afterEach() hook will be triggered after every test in every file. Running this command instructs Mocha to attach a special run() callback function to the global context. Calling the run() function will instruct Mocha to run all the test suites that have been described. Hence, run() can be called after the asynchronous operation is completed in order to run the tests. Whenever a callback function is not passed as second argument to it(), the test case is marked as pending, which indicates that the test is yet to be written. Pending tests are not failed tests and they are included in the test results. You can also specify test suites and test cases that should or should not be run. Mocha provides two helpful methods: only() and skip(), for controlling exclusive and inclusive behavior of test suites and test cases. Use the describe.skip() method to prevent the tests in a suite from running and the describe.only() method to ensure that the tests in a suite run. The same also applies to test cases using it(). It is possible to skip a test at runtime by calling this.skip() inside the callback function passed to it(). This makes it possible to dynamically skip a test based on some condition. Calling this.skip() effectively aborts the test. Hence, it is considered best practice to avoid executing further instructions after a call to this.skip(). Every test that is skipped at runtime using this.skip() will be marked as a pending test. 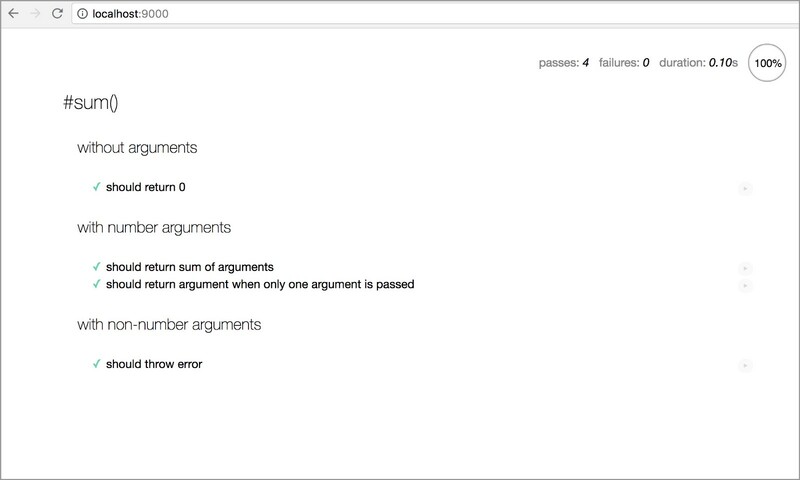 Mocha provides a functionality for specifying the number of times a failed test can be retried. This is not recommended for unit tests, but it can be useful when writing end-to-end tests (where some external resources may not be available for some reason). Mocha provides a this.retries() function that allows you specify the number of times a failed test can be retried. For each retry, Mocha re-runs the beforeEach() and afterEach() hooks but not the before() and after() hooks. The following code snippet shows a simple example that uses the Cypress test runner to visit a webpage. If the server responds with a status code other than 2xx, possibly because of slow network or bad internet connection, the test is marked as failed. With this.retries(5), the test is allowed to be retried a maximum of 5 times before it can be marked as failed. Mocha allows you to define the amount of time that should elapse before tests are considered as being slow. The this.slow() method is available for this purpose. The number passed to this.slow() represents the amount of time in milliseconds. Notice the red (1506ms) indicator used to mark the slow test. The test is considered slow because it took more than the specified 1 second (1000ms) to run completely. By default, Mocha will timeout for any test that takes more than 2 seconds (2000ms) to run completely. When a timeout happens, the test is marked as failed and a timeout error is thrown. However, Mocha provides a this.timeout() method for specifying the amount of time that should elapse before a timeout happens for a given test suite, hook or test case. The number passed to this.timeout() represents the amount of time in milliseconds. Note that, calling this.timeout() with 0 disables timeout completely. So far, you have been exposed to all the tooling that Mocha makes available for writing tests. However, there are still lots of utilities you can leverage on when using Mocha, and a couple of these utilities are only available to you when using the mocha CLI binary. The -w, --watch flag instructs Mocha to watch for changes in test files and re-run the tests. This is very useful for writing tests while in development. The -A, --async-only flag forces all tests to require a callback function or return a promise, thereby behaving asynchronously. Tests that don’t specify a callback function or return a promise will be marked as failed. The -b, --bail flag forces Mocha to bail after the first test failure. The -t, --timeout <ms> option allows you to set the timeout for your test cases. Mocha uses a default of 2 seconds. You can set the timeout by specifying the number of milliseconds or a value with an s suffix to specify the time in seconds. Mocha also allows you to set the threshold for slow running tests by using the -s, --slow <ms> option. The default threshold is 75ms. As you saw earlier, Mocha uses this threshold value to highlight tests that are taking too long to run. The -g, --grep <pattern> flag instructs Mocha to run tests and test suites that match a particular pattern (regular expression), which is internally converted to a RegExp. The -f, --fgrep <string> flag, as stated earlier, instructs Mocha to run only tests and test suites that contain the specified string. The following command will run all tests and test suites that contain the string ‘array’. The -r, --require <module> flag allows you to require modules/libraries that you use in your test files such as assertion libraries instead of manually invoking require() in your code. This works for modules like should.js. However, to access the module’s exports, you will have to require the module in your code. The --file <file> flag allows you to add one or more files you want to be included first in your test suite. These files may contain some form of setup logic required for your tests. The --file flag can be used multiple times to include multiple files. As stated earlier, Mocha provides several interfaces for writing tests. The default is the BDD interface, which is what is being used throughout this guide. The -u, --ui <name> allows you to specify another interface to use. The -R, --reporter <name> flag allows you to specify the reporter you prefer for displaying the test results. The default reporter is spec, which is what is being used throughout this guide. Mocha also allows you to specify third-party reporters using this flag. 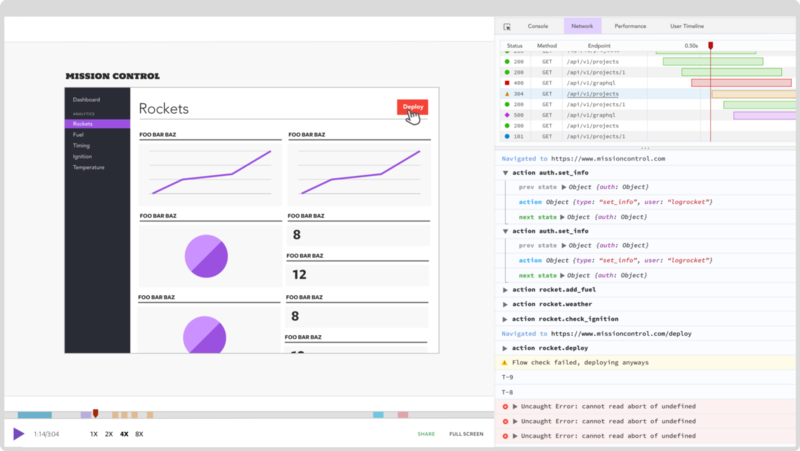 The Mocha test runner can also be used in the browser. Every release of Mocha contains builds of ./mocha.css and ./mocha.js for use in the browser. Here is a simple setup to run Mocha tests on the browser. Here, notice that the static CSS and JS files for Mocha and the Chai assertion library have been imported into the page. The <div id=”mocha”></div> element serves as the mount point for displaying the test results. In setting up Chai, chai.expect is mapped to a global variable named expect so that it can be used in the test scripts for making assertions. Mocha is setup to use the BDD interface by calling mocha.setup(‘bdd’). The tests are run using the mocha.run() method. Here a “test:browser” script has been added, to start the live server on port 9000 and to serve the files from the public directory. Although this guide is quite extensive, you can always refer to the Mocha documentation for aspects not covered by this guide. If you found this article insightful, feel free to give some rounds of applause if you don’t mind. You can also follow me on Medium (Glad Chinda) for more insightful articles you may find helpful. You can also follow me on Twitter (@gladchinda).